A bill written by Sen. Ben Hueso and sponsored by the San Diego city attorney’s office would require that members of the public take certain steps before asking a court to intervene, and would make it significantly more difficult to collect attorney’s fees from agencies found to be in violation of the law. That is often the only consequence agencies face if they fail to comply with a Public Records Act request. Sen. Ben Hueso has written a bill, sponsored by the San Diego city attorney’s office, that would make it much harder for members of the public to take government agencies to court in order to obtain records under the California Public Records Act. The Public Records Act allows members of the public access to records that shed light on how their government is functioning – with some exceptions, such as worker privacy and materials that are shielded by attorney-client privilege. But the law itself doesn’t have much in the way of teeth, and going to court to challenge agencies that withhold documents or don’t respond to requests is the only way to compel them to comply with the law. 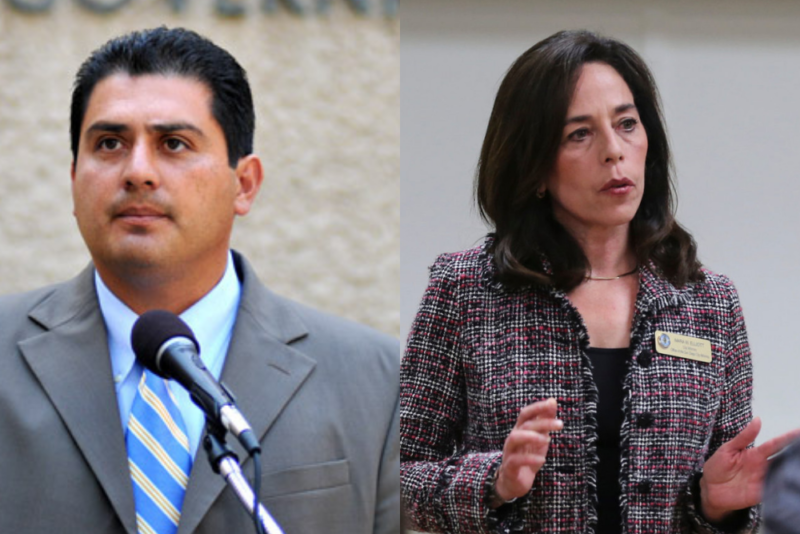 Hueso’s bill, submitted Friday, would require that members of the public take certain steps before asking a court to intervene, and would make it significantly more difficult to collect attorney’s fees from agencies found to be in violation of the law. That is often the only consequence agencies face if they fail to comply with a Public Records Act request, willfully or not. “If Sen. Hueso is trying to make it more difficult for members of the public to get info about their government, this will be a smashing success,” Ewert said. Felix Tinkov, a San Diego attorney who works regularly with the California Public Records Act and who has represented Voice of San Diego in several cases seeking public records from local agencies, similarly said the standard would be “nearly impossible” for the public to meet. “It is especially worrisome as it appears to set up a loophole making it nearly impossible to sue an agency that does not respond to a request at all,” he wrote in an email. Hueso’s office said the intent is benign. A spokesman for City Attorney Mara Elliott, whose office is sponsoring the bill, declined to answer questions on what motivated the legislation. “Following Sacramento protocol, we are working with Sen. Hueso’s office, which is developing a fact sheet on SB 615. It should be available in a matter of days, when it will be released by the senator’s office,” Gerry Braun, chief of staff to Elliott, wrote in a statement. In the last few years, Voice of San Diego has gone to court to obtain public records in a number of cases. In 2017, a San Diego Superior Court judge ruled that the San Diego Unified School District improperly withheld emails requested by Voice of San Diego under the Public Records Act related to then-Trustee Marne Foster, who later resigned. The court ordered the district to pay Voice of San Diego’s attorney’s fees to Tinkov. Tinkov said that under the Hueso bill, the bar would be set so high that public interest attorneys may pass on such work because of the greater financial risks involved. Last year, the Sweetwater Union High School District in Hueso’s district, after initially failing to respond to a VOSD records request, eventually provided documents about teachers who’d been investigated for sexual misconduct and harassment. It only agreed to provide the documents, which showed the district determined one teacher had groped and harassed several students but was given a glowing recommendation for future jobs, under the threat of a lawsuit. Scott Lewis contributed to this report.